After some serious contemplation, you’ve finally picked out the tile you want for your bath or kitchen—but what about the grout? The paste that fills the spaces between each tile hardly seems like the most significant design element, but the grout you choose—especially the color—can completely transform the look of the room. Here, Jesse Walker, Exquisite Surfaces’ Chicago showroom manager, explains the different factors that come into play when you’re selecting the right shade. 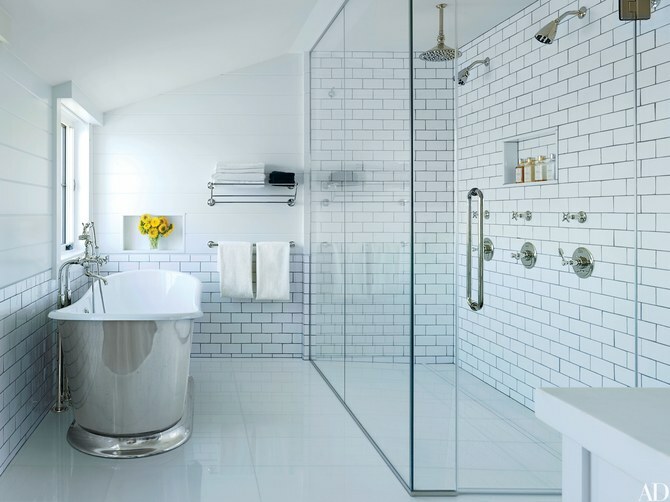 “The best way to choose grout is to decide if you want it to match, complement, or contrast the tile,” says Walker. For example, if you’re working with a white tile, do you prefer white, charcoal gray, or neutral beige grout? Each will have a different effect on both the tile pattern and the overall room design. 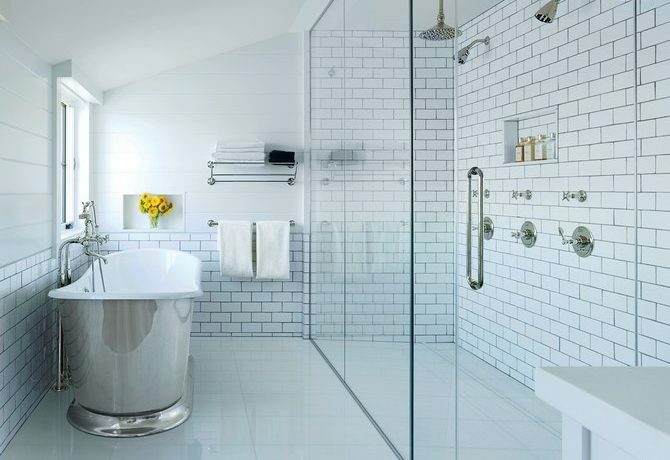 “If you’re choosing a coordinating grout, the space will tend to feel larger, while a contrasting color will make a space feel busier, which is not always a bad thing.” Note that a dark color’s graphic effect will be amplified if you’re creating a mosaic, which typically has more grout lines. For an outside-the-box design, consider an epoxy grout that glitters or even glows in the dark, says Walker. If that’s a little too bold, take a look at brass, copper, or stainless-steel metal inlays, which will subtly accent the tile pattern. Your choice won’t just influence the look of the space; it will also affect how much scrubbing you’ll need to do. “Light-color grout needs to be cleaned more often. Darker grout can produce efflorescence that will need to be cleaned and removed,” says Walker. Either way, he suggests sealing the grout to prevent stains.